If you’re after an unforgettable terpene infused CBD oil, then look no further than this El Patron Pineapple Express CBD e-liquid based on the legendary cross between both the Trainwreck and Hawaiian strains. 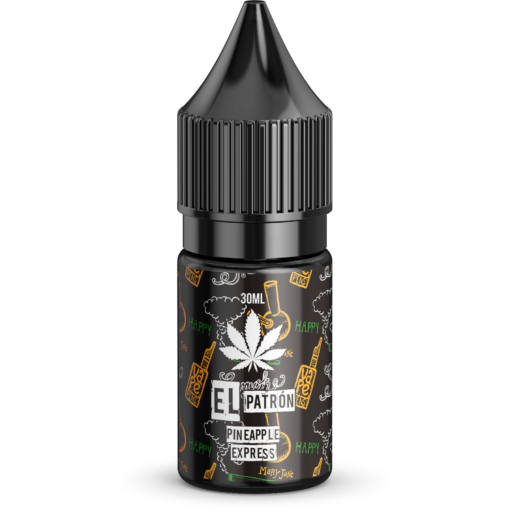 If you enjoy vaping, but have a discerning palate that demands an aroma of apple and mango with pineapple and cedar flavours – but without the taste of marijuana – then this Pineapple Express CBD e-juice is the one for you thanks to its 3% terpene infusion. 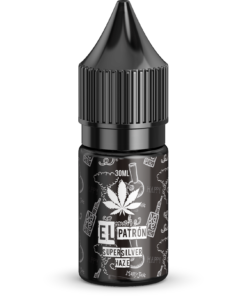 This e-liquid can be vaped the way it is, or diluted if you’re looking for something a little less sharp. Looking for some new, exciting cannabidiol e-juice similar to our El Patron Pineapple Express CBD Oil? Why not have a look at our full range? We only sell high quality products made in our ISO clean rooms using pharmaceutical grade ingredients. We are certified by the FDA and always adhere to the rigorous testing and guidelines for the sale of CBD products. Our safe, encrypted payment gateway ensures a secure, easy way to pay. Our fast, efficient customer service is always on hand to help out. Classy vape – liked this! Really nice pineapple taste, not too fake tasting. One of the best I’ve tried. It was sent really fast too. Thanks guys.